Create effortless style in your coastal bathroom with the Deep Blue Sea Shower Curtain. 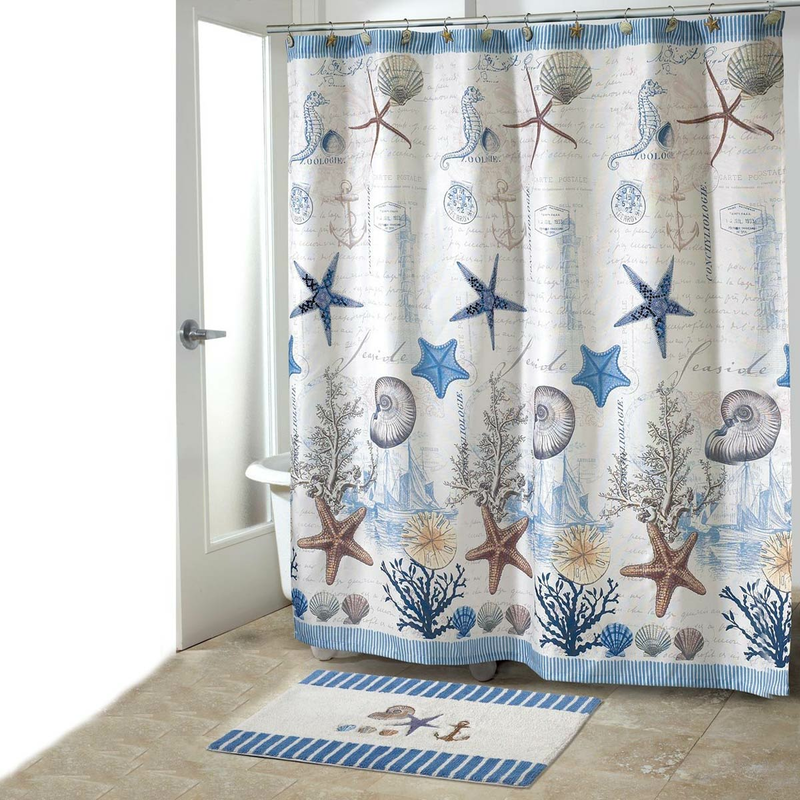 This beach shower curtain is beautifully made with shells, starfish, coral and script in soft blue tones. For many more options, we ask you to take the time to view our complete assortment of beach shower curtains at Bella Coastal Decor today.